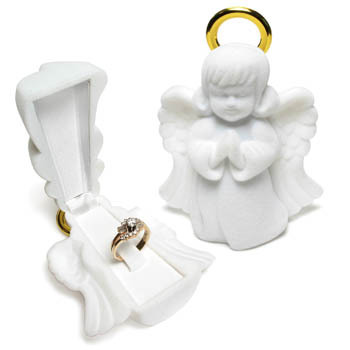 White flocked angel ring box also makes a great display. 3-1/4" tall. Sold and priced by the dozen.